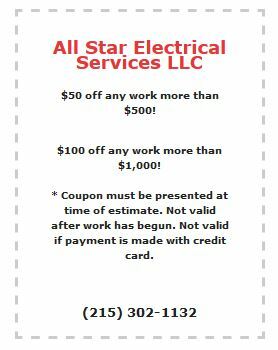 If you’re looking for an electrician in Philadelphia or the Greater Philadelphia area suburbs, call All Star Electrical Services, LLC. 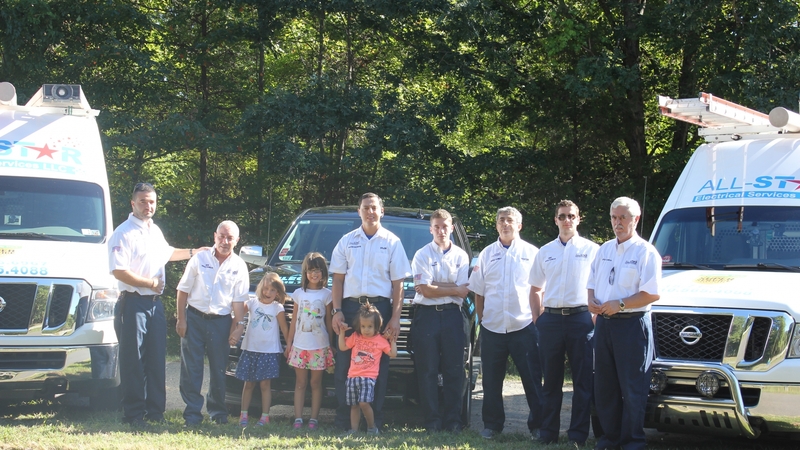 Our team provides electrical panel upgrades, generator installation, pool electrical wiring, and other services to both residential and commercial customers. Let our electrical contractors help you improve your property and enhance your lifestyle. Whether you want to illuminate the night with beautiful landscape lighting or install a generator, call All Star Electrical Services, LLC. Our services have helped countless home and business owners enjoy benefits like lowered energy bills and increased energy efficiency, not to mention the sheer beauty and convenience of our customized electrical accents and features.If you own property in the Philadelphia area and are interested in learning more about an electrical panel upgrade, generator installation, or pool wiring, just call or e-mail All Star Electrical Services. Our friendly, knowledgeable staff can give you a full list of our many services and provide you with more information. When you’re in the market for an electrical panel upgrade or home theater installation, don’t waste your time with amateurs. It is essential to call professional electricians in to get the job done right. When working with electrical components, even one slipup can create a number of unfortunate scenarios ranging from inconvenient blackouts to property damage, even to tragedies like fires and electrical shock. The staff at All Star Electrical Services has the experience to provide you with work that is not only fully functional and attractive but is also installed with all of the precautions necessary to ensure the long-lasting success of your new generator, home theater installation, or other addition. There are enough irritants and stressors in life. An untrustworthy electrical panel or poor pool wiring shouldn’t be among them. For results you can count on, contact All Star Electrical Services, LLC. All Star Electrical Services serves municipalities throughout the Philadelphia metro area, including Ambler, King of Prussia, Bryn Mawr, Haverford, Willow Grove, Norristown, Woodlyn, and the greater Philadelphia area suburbs. Send us an e-mail or give us a call today to see if your community is included. We look forward to helping your home or business expand or improve its electrical infrastructure. Some customers are interested in sprucing up their property’s exterior with a unique landscape lighting design or new pool wiring, while others have more practical goals, like generator installation or an electrical panel upgrade. No matter what the nature or size of your project, you can expect professionalism, great craftsmanship, and reasonable prices. For professional electricians in Philadelphia, look no further than our family-owned company for quality electrical contractors that will get the job done right the first time. All Star Electrical Services, LLC, is fully licensed, bonded, and insured.